On my way to Murano, I did a very quick pitstop and spent all of 15 minutes at Isola Di San Michele which consists of a church and a huge cemetary. 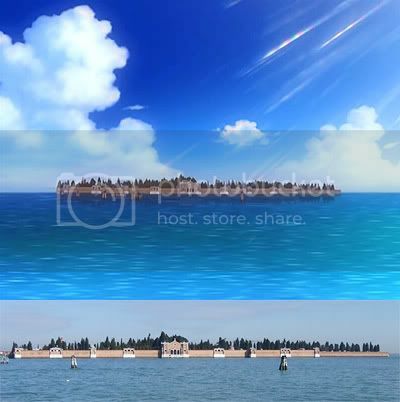 This island features in the rather spooky ep20 of ARIA the Natural in which the artwork was easily the best from the whole season. Face to face...and at the exact same angle. The cemetary. This would sure be very spooky at night. Akari is way too nice to be taking someone from Piazza San Marco to San Michele late at night. A quick measurement of distance and calculation gives me an approximate trip time of 45 minutes. 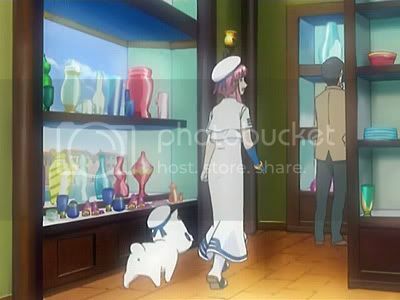 Then it was off to Murano, featured in The Natural ep11. 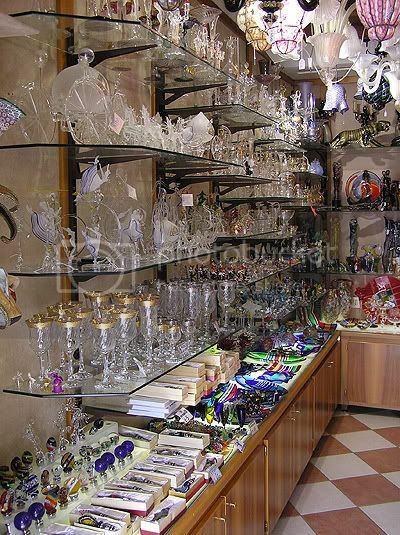 "The people of Venice have been making crystal and glass since the 10th century. The bulk of the industry was moved to the island of Murano in 1291 because of the danger of fire posed by the glass-working kilns. The second paragraph about people being prohibited to leave the city was mentioned in The Natural Ep 11 at 05:10 when Alicia was explaining the history. If you look at my picture carefully, the canal turns sharply to the left. 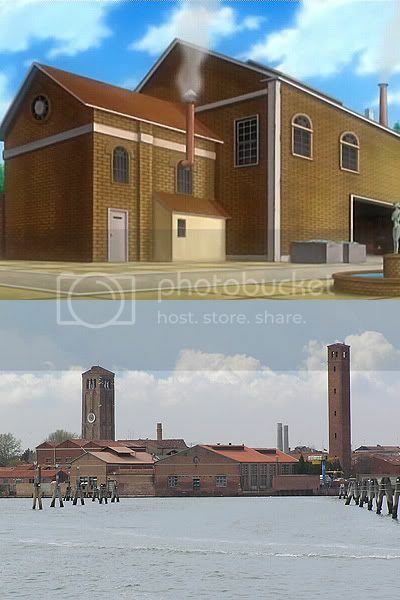 Once you go round that left, as depicted in the anime, you will reach the clocktower. Both sides of the canal in the pictures above are full of glass shops - Murano really is a tourist heaven/trap to an extent that you'll be disgusted by it. The shelves at one of the countless glass shops. Murano and the glass furnaces are so tightly built it's impossible to get a clean shot, unless you take one from the sea. After initial disappointments, I found a glass furnace which was very welcoming to visitors - it had signage for tourists to understand the process of glass making as well as a live demostration. The people were even so nice as to pose with the freshly completed product! Here is "Maestro" at work! Indeed, ep20 was the first "WTH??" 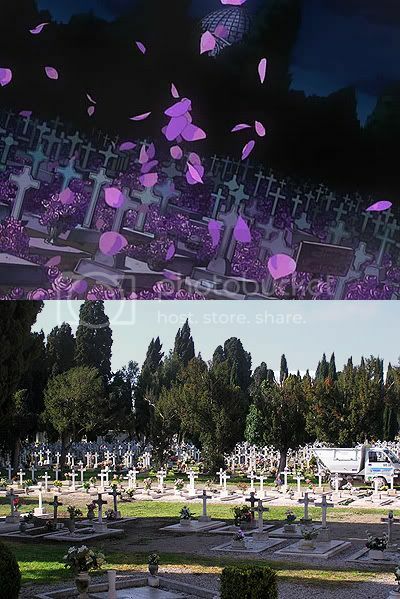 type Aria episode. The second is ep22. Was the 45 minutes trip time Isola Di San Michele there and back? Or just one way. Gondolas are slower than depicted in some scenes from ARIA. On top of that, there's the 4km/h speed limit through the narrow canals. It's a guesstimation but I'd say 45 mins one-way.